Australia’s favourite takeaway food offers a compelling business model and innovation in gluten-free, wholemeal, low-carb and other speciality options. The pizza market is booming and fully recession-proof. With consumers changing their eating habits, pizzerias that cater to a myriad of health requirements and provide innovative gourmet options are particularly well positioned. The Australian pizza restaurant and delivery market has been growing steadily over the past five years. According to IBISWorld , the sector grew by 2.8 percent between 2012 and 2017. Pizza lovers are increasingly demanding more eclectic menus, even if it sometimes comes with a higher price tag. Traditional pizzas have a majority market share – 43 percent – but between 2016 and 2017 the market for speciality pizzas jumped by 7 percent. Responding to a broader shift in eating habits, forward-thinking pizzerias now provide wood-fired, gluten-free, wholemeal, low carb, vegan and myriad other options characterised by specific nutritional and health requirements and demand for greater variety generally. However, there is also a strong market for authentically traditional variants. Domino’s Pizza is the dominant player in the delivery industry, attracting 2.3 million customers in 2016. The aforementioned segmentation however creates an opportunity for small speciality pizza makers to carve out a valuable niche in the industry. Is now a good time to buy a pizzeria or pizza delivery business? It’s pretty much always a good time. It seems inconceivable that the pizza could ever fall out of fashion, and growth is projected across the board. 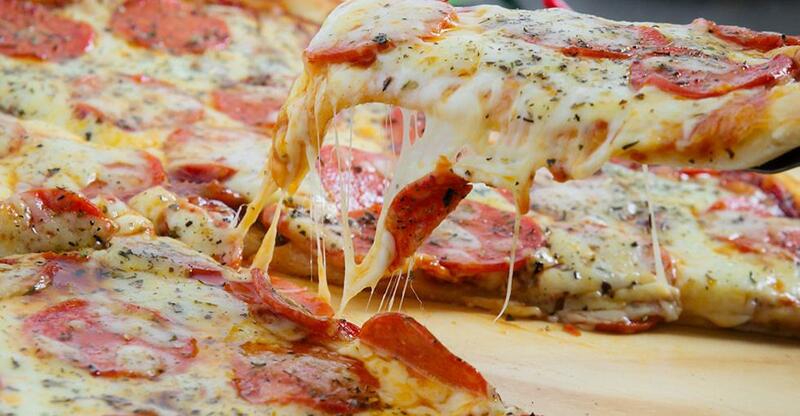 Pizza is by far the most popular takeaway food in Australia, according to a survey by Canstar Blue, with 34% of Australians saying it’s their favourite (Chinese, the next most popular, trailed far behind on 15%). Pizzas are comparatively quick and cheap to make in bulk, so the margins are strong. This makes it easy to franchise the business model, hence the multitude and success of pizza franchises. Franchise brands like Dominos are real money-spinners for their franchisees – who don’t usually even need experience in the trade – although those who want to get creative with their menu will need to start or buy an independent business. Although the pizzeria and pizza delivery market are booming, it’s a competitive industry and especially challenging for new entrants. Buying an established pizza business is one way to make your life easier. Managerial/ownership experience in the food-service trade. Less essential if you run a franchise, but particularly important if you’re running a restaurant – a tough trading environment even where pizza is concerned. Culinary expertise and qualifications. There’s an art to making great pizza and if you want to be innovative with your menu then a flair for food is important. Time-management skills and resilience under pressure. You need to turn orders round quickly and be particularly well organised during peak times like Friday and Saturday nights. Customer service skills – as with any food-service business. Willingness to work long, unsociable hours. Again, like any food service business, your peak times are during evenings and weekends. Fancy running your own pizzeria or pizza delivery business? Read our guide to buying a pizza restaurant/delivery business and browse our pizza restaurants for sale and takeaway businesses for sale.